The shopkeeper and chef will quit “Tonkatsu Narikura (とんかつ成蔵)” in March 21st, 2019. Instead of that their staff will begin “Tonkatsu Narikura (とんかつ なりくら) from April. Narikura that is a popular tonkatsu restaurant located in Takadanobaba area accept reservation one night only the other day, so we took the reservation on the phone and went to there. 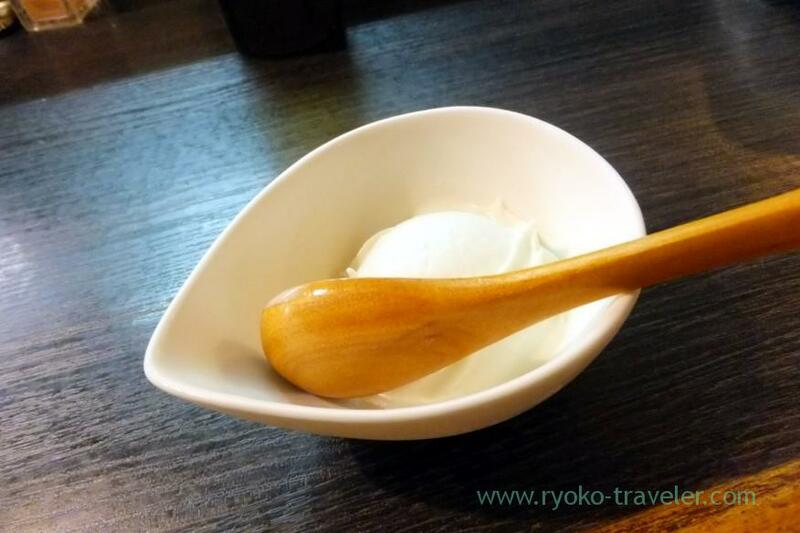 They are located just close to JR Takadanobaba station. They prepare special menu for that day only. It was more expensive than usual. But all sets have an appetizer. 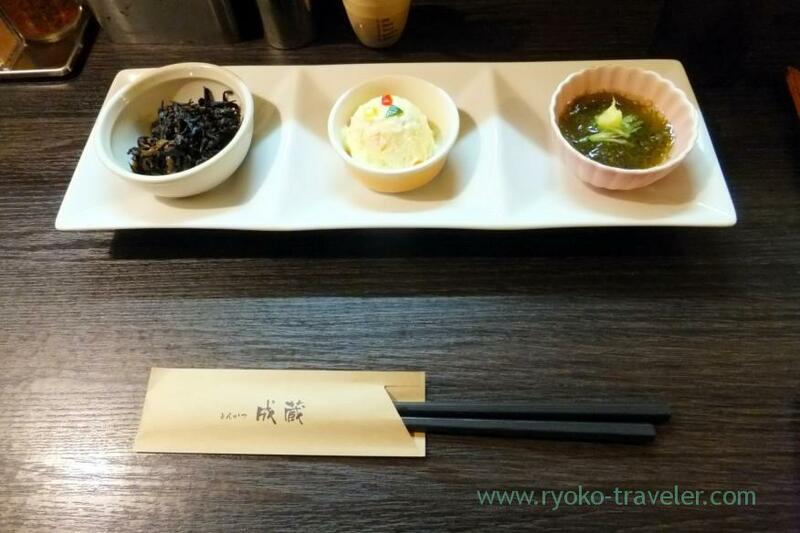 From left to right, boiled hijiki with soy sauce, potato salad and mozuku seaweed. 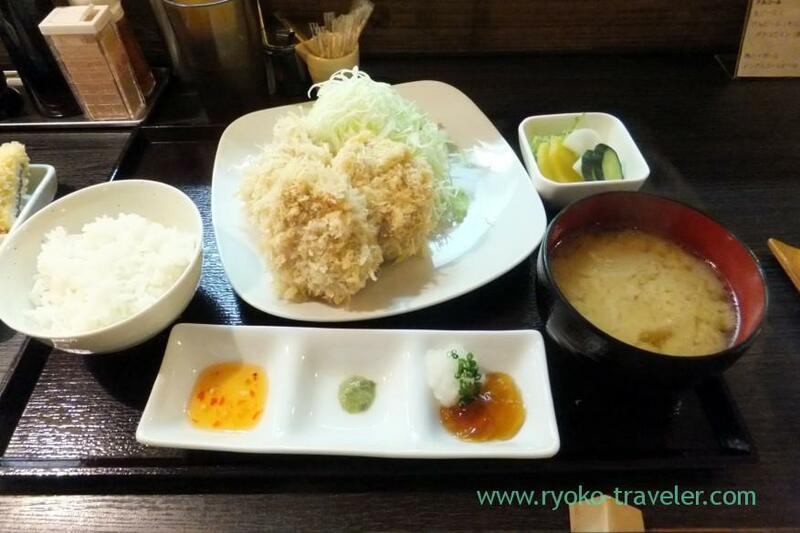 I ordered Three pieces of Chatonbriand tonkatsu set (シャ豚ブリアンかつ定食 ３個, 4200 yen). * Chatonbriand is parody of Chateaubriand (steak). There’s salt and Worcester sauce on the table. And also three seasonings were served with the tonaktsu. Sweet chili sauce, wasabi-duke (pickled wasabi) and ponzu with grated daikon radish. That I ate last time was more fatty than it. But its coating was so crisp and tasty. You think its coating is white nevertheless it is tonkatsu. Yes. 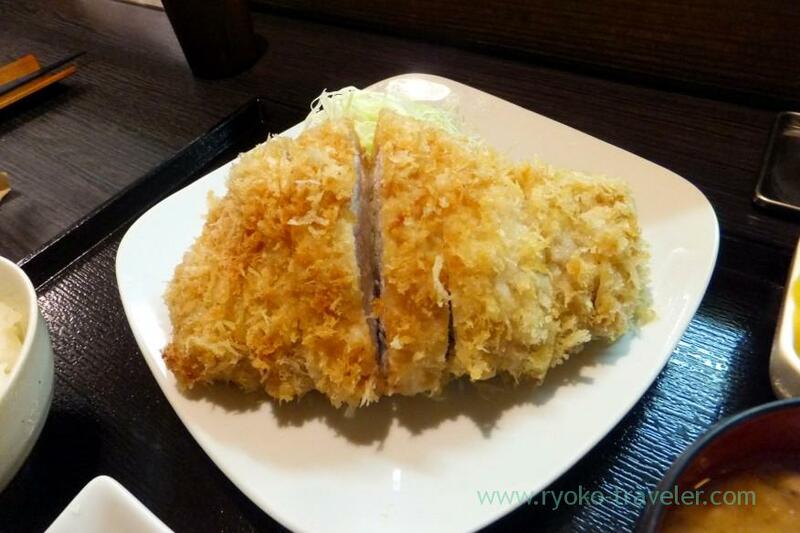 It’s the feature of Narikura’s tonkatsu. 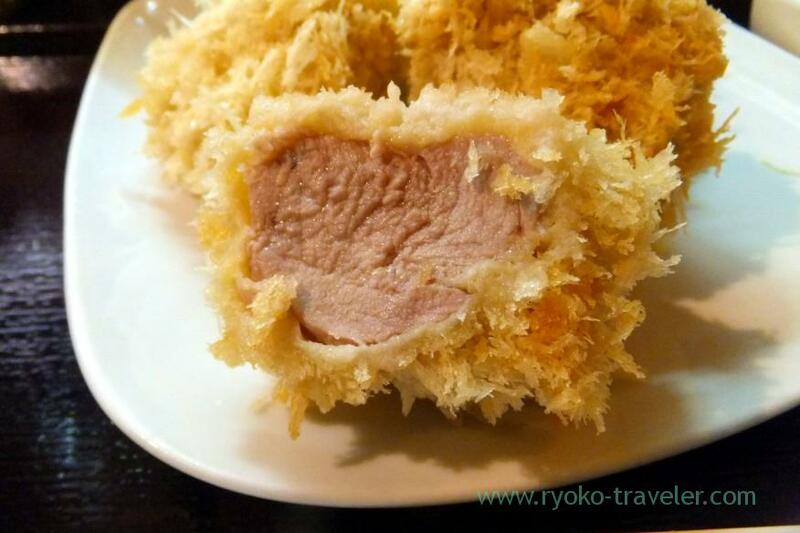 They take much time to fry tonkatsu deeply at low temperature. So, its coating keep its weak color. My friend’s Sirloin tonkatsu (特ロースかつ, 4200 yen) was good, too. Its pork was Hirata Farm premium Sangenton pork. Dessert was included in the set. Narikura don’t take the reservation through day and night. It was a special attempt for them. Open / 10:30 a.m. – 1:30 p.m., 5:30 p.m. – 8 p.m.